As a property management company, we rely on the services of various experts to provide maintenance and repairs to the homes that are entrusted to our care. 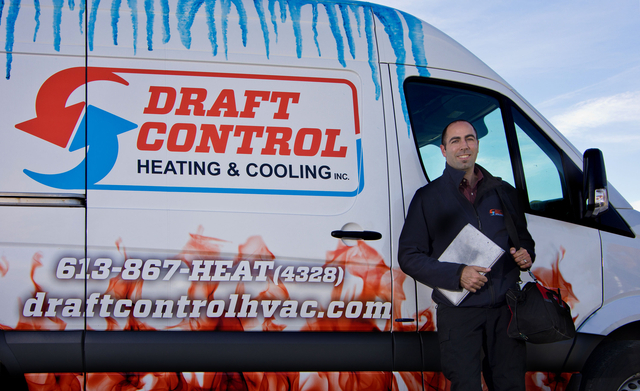 Draft Control Heating & Cooling is one of those experts that we can depend on to provide excellent customer service at a reasonable cost. Selim and his team always respond promptly to our calls and are able to provide the most efficient solutions to the problems at hand. We highly recommend them for all HVAC services. Thanks so much for the feedback! We strive for consistency in our level of services, looking forward to our continued business in the future. Service old furnace and install new furnace. Our furnace was acting up, so I called Draft Control Heating and Cooling. What I like immediately was talking to the owner. You call and he picks up the phone. He offered to come the next day, give a free inspection of our old furnace. If the fix was simple, then he would repair it, if not he would give us a no pressure quote for a new furnace. He came on time and was very respectful. His knowledge of furnaces blew me away. 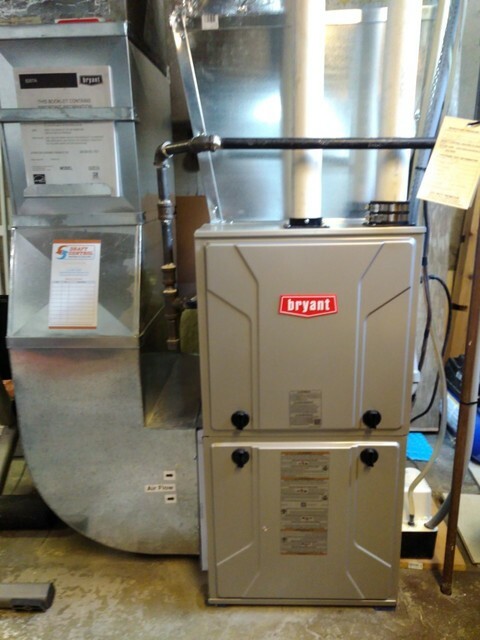 Originally we has a large heating and cooling contractor come in to service the furnace. Late, never returned calls and simply didn't give a straight answer on what the problem was. Draft Controls was my second contractor and I'm very happy I made that call. Selim recommended getting a new furnace. Through the entire process, he answered all my question, always returned calls and was on time. His quote beat all of the other quotes we got. The installation was fantastic, he didn't rush, left a clean job site and did everything in a timely manner. After testing everything out, he left me his business card and told me to call or text if I had anymore questions or issues. We were so impress with Draft Control, that in the spring we are having them replace our 20 year old air conditioner. If you are looking for an honest contractor that has competitive pricing that installs a very good brand, then definitely put Draft Controls Heating and Cooling on your short list. I'd also recommend him for servicing heating and cooling units. Thanks so much for the positive feedback! We appreciate it and we look forward to serving you again in the future! I called Draft Control after the gas valve on my Kenmore furnace gave out and I discovered my Sears warranty was completely useless. Selim gave us the best service anyone could ask for and even installed an additional part to prevent the problem from reoccurring. Other companies were quoting us $1000 to replace this part along with all maner of suplementary fees. I would never go anywhere else again. Thanks for the positive feedback!! We look forward to servicing your equipment in the future. What a fantastic service I received from this company. They went above and beyond to ensure I got the best service. Very professional and a great job done. I will be using them again! We're happy you're pleased with the work that was done! Thanks so much for the positive feedback. Selim is excellent and honest. He was very good in letting me know what my options are and what his opinion was based on hi experience. I trust him. Thank you for taking the time to share your review! Client satisfaction is what we strive for. Selim, the furnace/air conditioning service expert is very knowledgeable and a pleasure to work with. On the most recent job he conducted an overall service for the air conditioner for a very reasonable rate. He also provided excellent advice for preventative maintenance and fixed an unrelated problem with the furnace. I would highly recommend Selim! Client satisfaction is so important to us. Thank you for taking the time to share your comments. My furnace broke down and within a few hours of the initial call to Draft Control I was back up and running. Thank you Scott! We are just happy we were able to get your heat back on as quickly as possible. It was time for my annual service and I was not disappointed. I received great advice on how to take care of my HVAC products. We strive for excellence and appreciate the positive feedback. Welcome to Draft Control Heating and Cooling. Draft Control's founder, Selim Ghanem, has been working as a heating and cooling specialist for over 14 years.Having previously worked at a number of Ottawa’s largest HVAC companies, where he was a top-rated technician and customer service specialist, Selim decided it was time to bring that knowledge and experience to his customers directly, so he founded Draft Control. Our services are: furnace, air conditioner, water heater, BBQ Gasline, Gas Fireplace, Pool Heater, and Boilers. Call us today to book your appointment. We look forward to working with you.